In this post, I will show you how to grow your email list for your blog the simplest way possible. When I first started blogging back in 2010, I failed to do something very important. Can you guess what that is? Yep, you’ve guessed it. I failed to start my email list. In fact, I didn’t pay attention to growing my email list properly until 2013, when I launched this blog, Magnet4Blogging. Of course, I always knew that building an email list was important, but at the time, it was not my priority to do so, and it really should have been. Back then, my goal was to write as many posts as I could, creating content was my top priority because I wanted to drive lots of search engine traffic to my blog. Within a few years, I managed to increase my organic traffic from 20 visits per day to over 700 visits per day. Not a bad effort I would say, until that is, Google unleashed hell in the form of the Panda and Penguin updates. What followed was the rapid decay of my blog traffic and blog income as well. You can read all about it here. And guess what? I had no email list to fall back on. When I launched this blog in early 2014, the first thing I did before anything else was to set up my email opt-in forms. My list building campaign was launched way before a single piece of content was ever published on my blog. Well, from March of 2014 right up until November, I was averaging around 6 to 10 subscribers per month at the most. Not great by any standards, I clearly had a lot of work to do. After doing some research and brain storming, I decided to make some small changes. I’ll explain what those changes were later on in this post. If you look at the screen capture below, you’ll see that in December of 2014 I literally exploded my email growth by almost 400%. 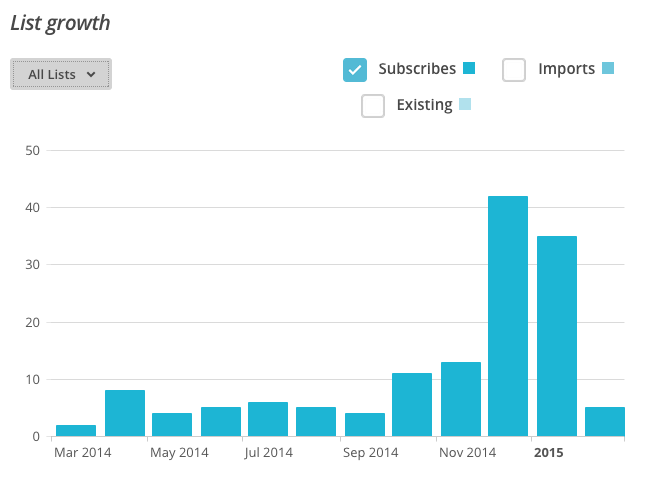 In December 2014 I managed 42 brand new subscribers, and in January 2015 another 35 new sign ups followed. February of 2015 also looked like it was going to be another awesome month as well. In comparison to the few subscribers I was getting before, this was a much better result, don’t you think? So, what did I do to skyrocket my opt-in conversion rates like that? I did two very simple things. And I mean, VERY SIMPLE. Secondly, I invested in a list building tool called Thrive Leads. But you can forget the second one because this strategy really doesn’t depend on the technology you are using. You could be using any email opt-in form software. So, as you can clearly see from the screen capture above, December and January were really outstanding months in comparison to the rest of the year. If you look at the screenshot below too, you’ll see that the incentive (Traffic strategy guide) was mostly responsible for my exponential email list growth. Great, so can I explode my email list growth like this too, Fabrizio? If a small-time blogger like me can do it, so can anyone else! This is pure solid proof that using incentives can boost your email opt-in rate dramatically. Now, let me share with you the tactics I used to help me boost my opt-in conversions by almost 400%. 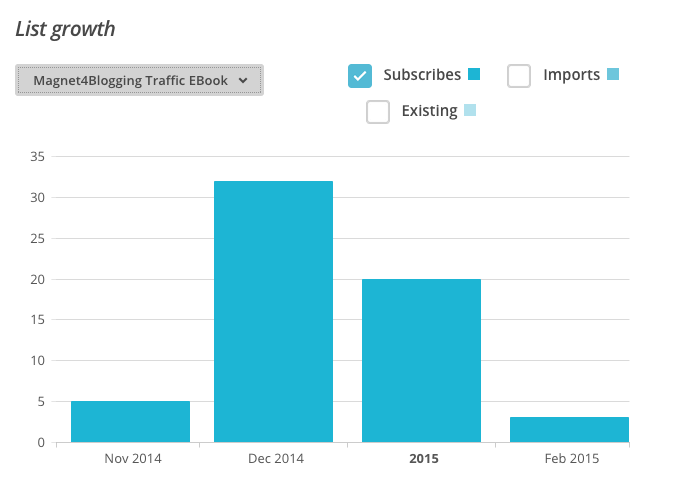 4 powerful tactics that helped me triple my email list growth! Warning: The tactics I’m about to share with you below are nothing new or out of the norm. You’ve been warned! If you are expecting me to reveal some brand new miracle strategy, then you’re going to be disappointed I’m afraid. These are tactics that most pro bloggers either are or should be doing right now. If you’re not implementing any of these tactics, I’ll assume that you’re just starting out. Critical stuff, you don’t want to use an unreliable provider that is going to let you down. Many, many moons ago I was using a service provider called Vertical Response. VR was my primary provider for a good few years, actually. In late 2013 I decided to switch over to MailChimp. One of the reasons for this move, at the time, was because Vertical Response offered no autoresponder service. I believe that has all changed now and they are a much better service provider. The other reason I decided to ditch Vertical Response was that of the insanely high number of spammy registrations I was getting. Anyhow, switching over to MailChimp was one of the smartest moves I could have made for my online business. 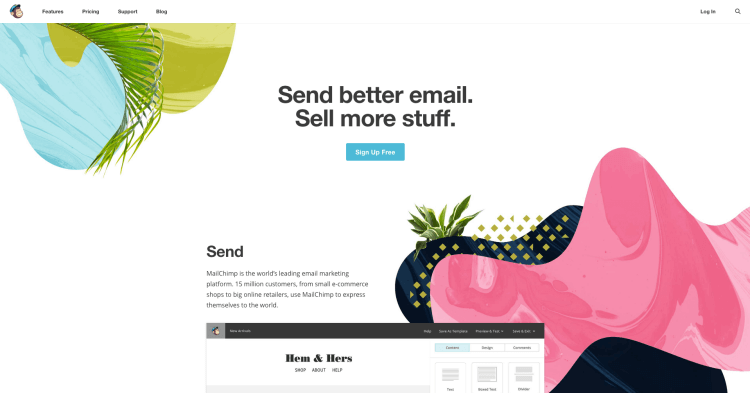 I love the templates and creating smart, eye-catching, conversion focused email newsletters in MailChimp is so easy. Take away tip: First, find and use a reliable and reputable autoresponder email marketing platform you can work with for your blog. There are quite a few to choose from these days, so do your research first. 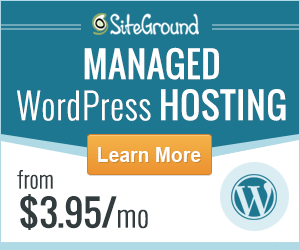 You can simply embed HTML forms directly from your email service provider into your blog content or website. (Laborious). You can invest in a powerful and dedicated list building tool like Thrive Leads or OptinMonster. You can compare the two here. Personally, I would recommend in investing in a listing building tool or plugin. 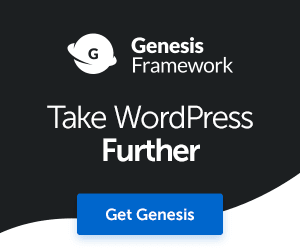 With a dedicated plugin like Thrive Leads, for example, you have greater control over everything: From your opt-in form design and layout, call-to-actions, form behavior, conversion reports, API connection with popular email list providers, and much more. By simply embedding your opt-in form HTML provided by your email service provider, you have little to zero control over your forms and how they look or perform. That will not do for your conversion rate. Take away tip: Research and find the best list building tool to suit your needs. Click here to learn more. One of the most effective strategies for building an email list by far using a dedicated lead capture page. 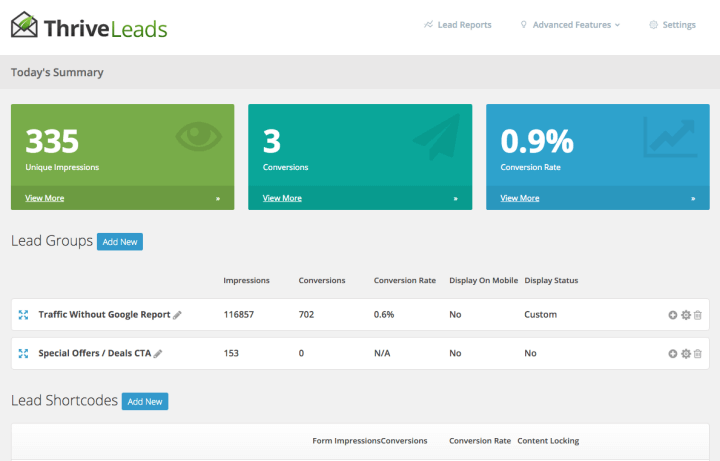 If you’re at all wondering what a lead capture page looks like, check out mine here. It is simply a dedicated, well-crafted, conversion focused landing page that consists of your marketing message, some information about your offer or incentive, or why people should subscribe, and of course, your opt-in form. A lead capture page is usually free of other distractive design elements such as banners, links, and menus. These will crush your conversions which is why those design elements are excluded. The great thing about having a dedicated landing page to capture your email leads is that you can promote the heck out of it, and so can anyone else visiting the page too. Read this post to learn how to create a powerful email opt-in landing page for your website. I created it especially for you. Take away tip: If you don’t yet have a dedicatd landing page to capture leads, go and create one straight away. If you don’t know how to, click this link to see how I can help you. You can’t expect to get the best possible opt-in conversion results if you don’t test. Everything needs testing and tweaking, and testing some more, to see what works best and what doesn’t. You should create multiple variations of your opt-in forms and landing pages, and test them against each other often. 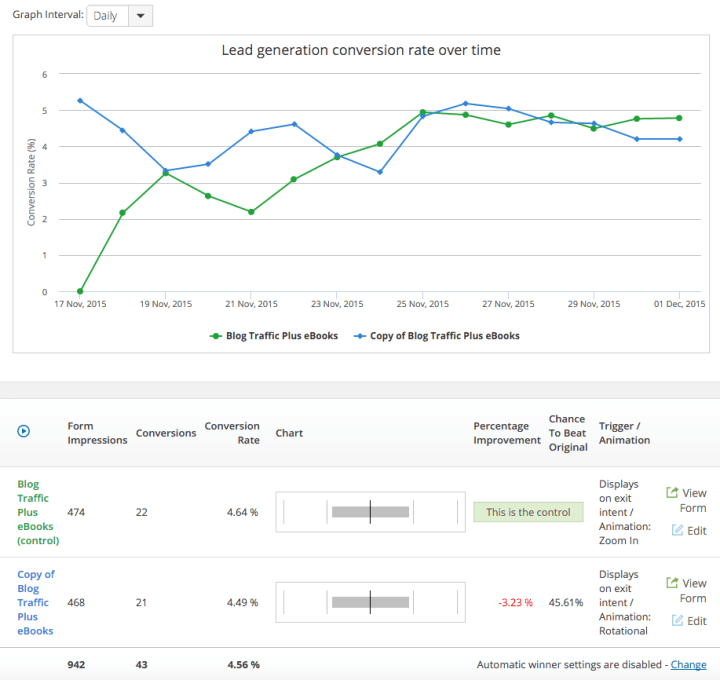 Thrive Leads comes with a host of powerful A/B split testing tools and conversion reports you can use. Take away tip: Check out my tutorial post on how to do simple A/B split tests for your pop-up forms. Google Analytics is very useful for not only checking up on your traffic and visitor stats but also for setting up goals and tracking your conversions. I won’t go into detail on how to set up goals in GA here in this post, however, you can check out the tutorial video below if you wish. So, there you have it troopers, that is how I was able to explode my email list growth, by making some simple changes and using the 4 powerful tactics as mentioned above. For me, this is an ongoing process because I love to test, tweak, and test some more to see what works. I’m a conversion optimization junkie and I’m darn well proud of it. There’s always something to tweak and improve somewhere, right? I want you to do the same for your forms and opt-in pages. OK, so hopefully, you’ve have found this post useful. I want to wish you the best of luck on your list building quest. If you need any help or advice, drop me an email here. I found your post on Adrienne’s post today. I need to work on my subscriber list and so I came straight here. Thanks for sharing these tips with us. I need to make some major changes and you gave me a good headstart. I’m using a free email marketing service and you know how they say you get what you pay for (or don’t in my case) well, let’s just say I’ll be switching soon. Thanks again for sharing these five tips with us. It was great to meet you. Have a great week. Hi Corina, welcome and thanks for stopping by. I love Adrienne’s blog and it was very kind of her to include this post in her Magic Monday series. Glad you were able to pick up some tips for your list building efforts. What email provider are you using? I would highly recommend MailChimp, if you have less than 2,000 subscribers it’s free to use. There’s a lot of tools and features with MC. I’m using INInbox that was recommended by a friend. I don’t like that they have to approve the email before submitting. I’ve already had one email go out on the wrong day and that looks bad on me. I did sign up for MailChimp but wanted to give this one a chance..but I might have to bail sooner rather than later :). Hi Raspal, thanks for stopping by and leaving such a great comment. Great to meet you and thank you so much for signing up to my email newsletter and downloading my eBook. I do hope you find them both useful. To build a quality list you have to have three things in my mind. 1. great content, 2. targeted visitors 3. an irresistible and valuable incentive and 3. some amazing lead generation forms. As for the double opt-in, I would absolutely recommend using it. It prevents a lot of unwanted spammy registrations. If someone really values your content or offer and wants to subscribe, they’ll go through the process of a double opt-in in my mind. Thanks again for stopping by Raspal, hope to see you here again soon. This was a nice write up of all you do to grow your email list, esecially with quadrupling your list within the last couple of months. There’s a lot of bloggers who don’t have a clue on how to grow their email list and the important it is to have one. As i was reading I had to make sure I was doing the right things for my blog. You’re right about having your opt in forms everywhere. I do have mines in quite a few places, but I do believe I need to put them in other places. Also I just downloaded and installed the thrive leads plugin this past weekend. I haven’t had too much time to play with it, but i’m going to make it a point to do so this week. I’m really excited about it! Thanks for sharing what you did about increasing your opt ins! I hope you have a great rest of the week! Hi Sherman, thanks for stopping my mate. I think it’s about being consistent with the tactics and making tweaks when you’re not seeing results or not seeing the results you’d like to see. After doing several things I saw a slight increase as you’ll notice in October and November, but I made an effort to write and complete my eBook in a weekend I think it was, and the results of offering a valuable incentive was phenomenal. Sherman, you’re going to LOVE the Thrive content builder plugin, going to love it without a doubt… It’s truly amazing, it has some amazing features, metric tools, targeting tools and the ability to design your opt-in form to how you want it. Take care buddy, enjoy the Thrive Leads plugin. I’ve been playing with Thrive Leads off and on throughout the week, and I do have to say that I’m very impressed with it. I haven’t had any problems with this plugin compared to the plugins I’ve had in the past. It’s quite easy to use and set up. I love the fact that you can easy start A/B testing without a lot of effort in setting it up. Plus you can have more than three forms to do this, which is what I’m doing now! Glad you’re enjoying it, yeah the A/B testing is awesome, simple to implement too. I’ve been running A/B testing on my sidebar opt-in, I removed the Ribbon at the top of my site, even though it was my highest converting opt-in, because it was taking too much screen real estate. I’m now optimising the sidebar and footer post forms. Enjoy my friend, do let me know if you see increased conversions from using the plugin. 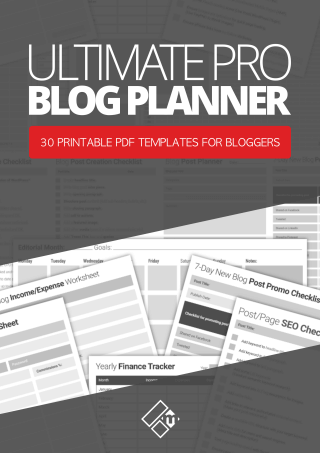 Growing a list is the utmost important thing that bloggers should be doing. And with that said, I don’t pay as much attention to it as I should and shame on me for that. But i have specific strategies in place that I plan on implementing starting next month and hopefully will be able to grow my list to over 10,000 by year end. Being everywhere with the email opt-in form is a good takeaway and one thing I don’t do, right now, is have a CTA at the end of my posts. I just haven’t been able to find and create one that I liked. I’ll work on that this week because it’s important. I notice you didn’t mention pop-ups. Excellent post here, my friend. Hey Andrew, I hear you mate, this was something I didn’t do until much later, I look at list building as important as updating my blog regularly now. My list is still very small and focused, and although I do have a target number to reach by the end of the year, I’m more focused on ensuring that I target the right kind of people. I now use the Thrive Leads plugin for WP. The great thing about using this plugin is that you can see first hand which opt-in form is performing the best, and which needs tweaking, I love that because it’s something I wasn’t able to do at all before. I used to use pop-ups quite a bit when I started Andrew, but even with a delayed execution, I noticed that over a period of time, my bounce rate went through the roof, like touching 90% through the roof. I do find pop-ups to be slightly intrusive for a blog that’s just starting up, with limited traffic and readers. The larger and more popular blogs however with maybe 3 or 4k visits per day, I think pop-ups might just work there. 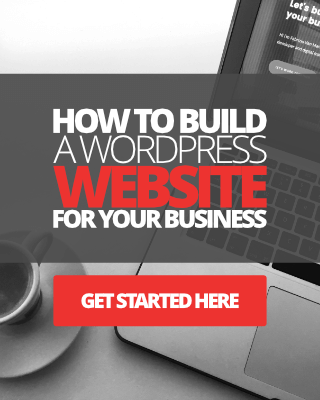 I like to give visitors a chance to see what my website is about before signing up, which is why the ribbon opt-in which you see above this post, is my biggest converter yet. Anyway, just wanted to say hi. I’ve added this to my morning reading list and will be back, Sir. Hi mate, welcome to M4B and thanks for stopping by. Bless Adrienne she really is a great lady, so honoured that she mentioned me in her post. I must be doing something right lol. So pleased you’ve decided to add my blog to your list of morning reading, the next amazing post should be out in a few days time, and boy it’s going to be super resourceful 🙂 Have a super rest of the week buddy. When it comes to email lists, there is never enough to learn. I like the way you shared your stats and how effective things are. I found that since I have been using native links in my content, things have been growing. I do have the opt in on my sidebar but I know that people do have what I call “sidebar blindness” so from time to time at the end of a post if it is congruent, I give them a CTA to check it out. It is very true that an email list won’t grow over night, but I rather have it grow organically than have a huge number whereby no one is opening my emails. I do have several ways that I do in my marketing strategy besides my blog. I’m finding lately that my FB Page has been pulling in new people that not only click, but purchase immediately. Pretty good hugh? You have given golden gems of information here and I thank you. Hi Donna, thanks for stopping by. Yeah you’re right about the banner blindness thing, check out the screen shot below after running this for just a few weeks. My sidebar opt-in is performing like as if it wasn’t there. I’m going to make a few tweaks and then run it for another few weeks. If it’s still under-performing I’m just going to remove it altogether. Great news with the Facebook conversion though sounds like you’re killing it, I’ve not set anything up properly through my Facebook page, something I’ll have to do in the future I think.